I want to create a reality where foreign actors can play ordinary roles in Japanese. 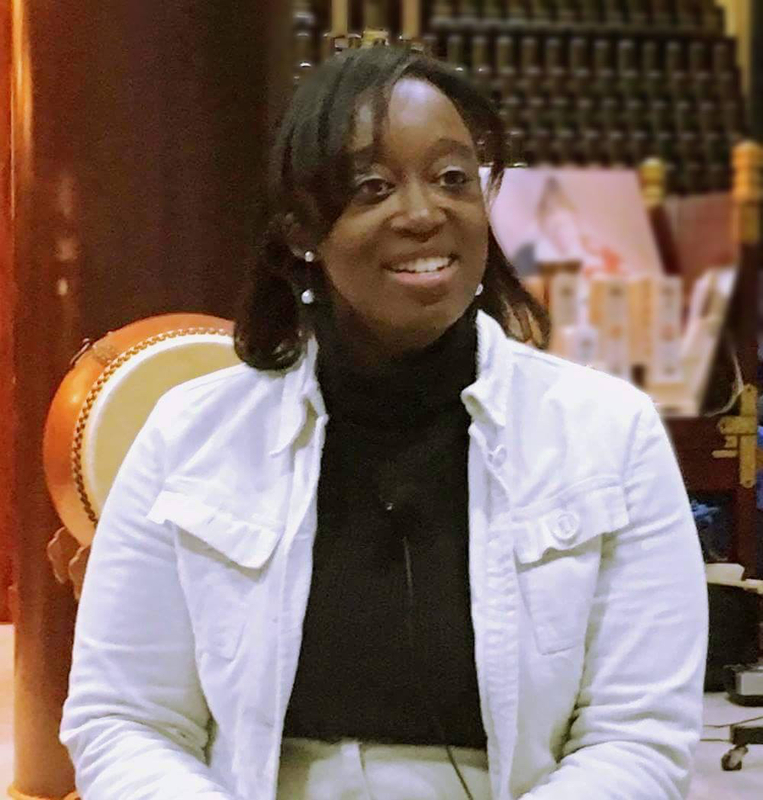 Born and raised in London, we first met Reina in the spring of 2014, when she was an audience member at Swedish rakugo performer, Johan Nilsson Björk’s show in Tokyo. We heard about her story after the event and we got interested in her activities as a voice actor. We decided to interview her right after she got her first big break – costarring with Japanese big names and performing only in Japanese in October 2016. We looked for an opportunity to interview her to show many people this wonderful, gifted woman. 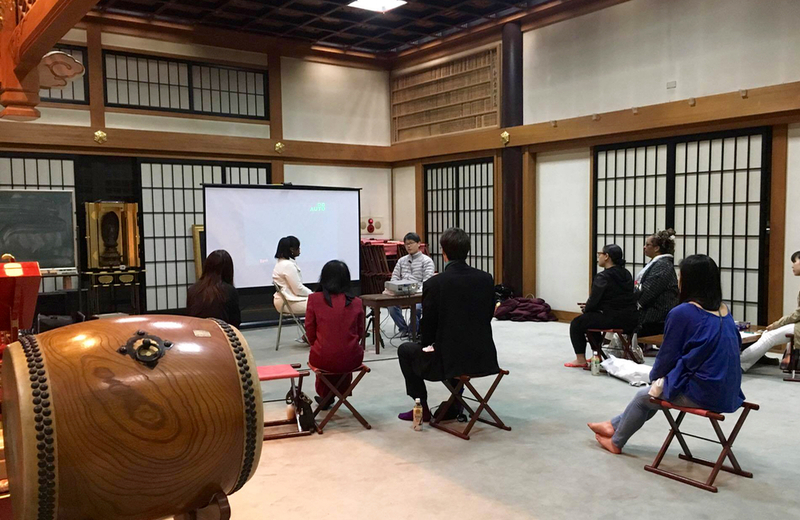 We were finally able to hold a talk show at a 400 year-old temple in the heart of Tokyo. 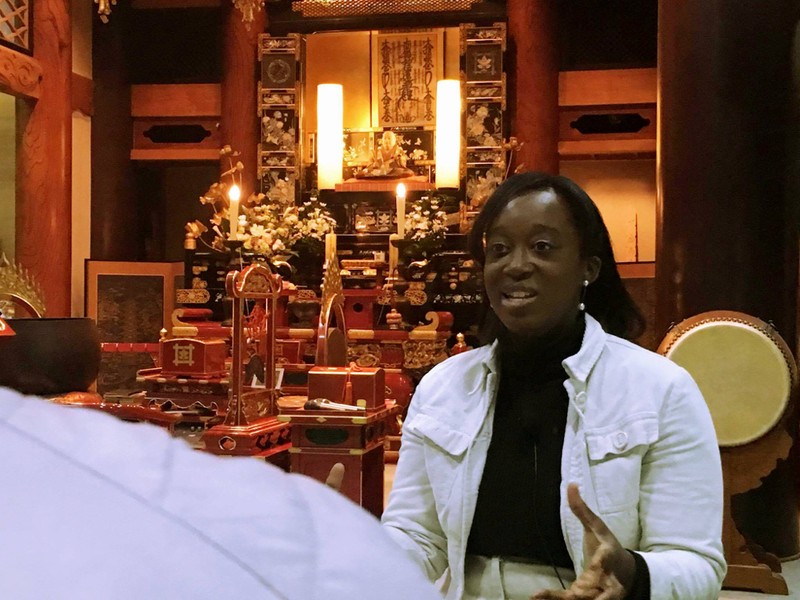 Every attendee enjoyed hearing her “Japan stories” and was moved by her philosophy that was established while struggling with the language and cultural barrier in the Japanese entertainment world. “Reina” is my stage name and it derives from the middle Chinese character used for my real name. I loved watching cartoons and fantasy movies such as “Return To Oz” when I was a child and so at 9, I originally wanted to be an actress. I really loved the American cartoon series called “The Simpsons”. I heard Nancy Cartwright’s story, who was originally a TV actress, but was selected as a voice actress to play Bart Simpson and became famous. 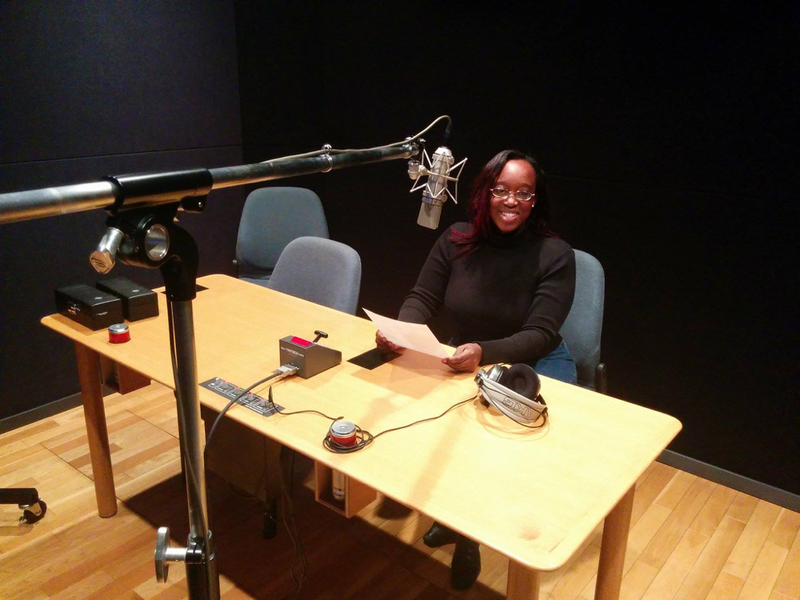 Regardless of physical appearance, in the studio you can become any character with your voice, there are no limits. That was attractive to me, so I decided to be a voice actress when I was 14. When I came across an anime series called “Fist of the North Star” at 16, I was really shocked at the violence. In the West, animation or cartoons are usually for children or families, so I was wondering why this was rated 18 in the UK. I saw the backside of the video and it said “made in Japan”. I thought, “This is cool! I need to watch more!” Fist of the North Star opened my eyes to a new, exciting, broader world because I realized for the first time that anime or cartoons could be for adults. I started getting more interested in anime and Japan. I watched more anime such as Pokemon and Cardcaptor Sakura around the year 2000. When I was deciding which university to study at, I came across a course called Japanese Language and Modern Society, and a small voice in my head said, “Wouldn’t it be cool if you go to Tokyo and go to voice-acting school and act, sing and dance with Japanese people in Japanese?” I answered, “Yeah, that’d be cool!” So I started to study Japanese from scratch. I spent 3 and a half years studying both computing and Japanese language/society at a university in UK. In the third year in 2004, I came to Japan and studied Japanese language for one year at J.F. Oberlin University. I really wanted to live in Tokyo for my dream, so I was lucky to be chosen to study there (Other universities were located in Nagoya, Osaka and Kita-Kyushu). There were about 40 exchange students and I met Koreans, Chinese and even Americans for the first time in my life! 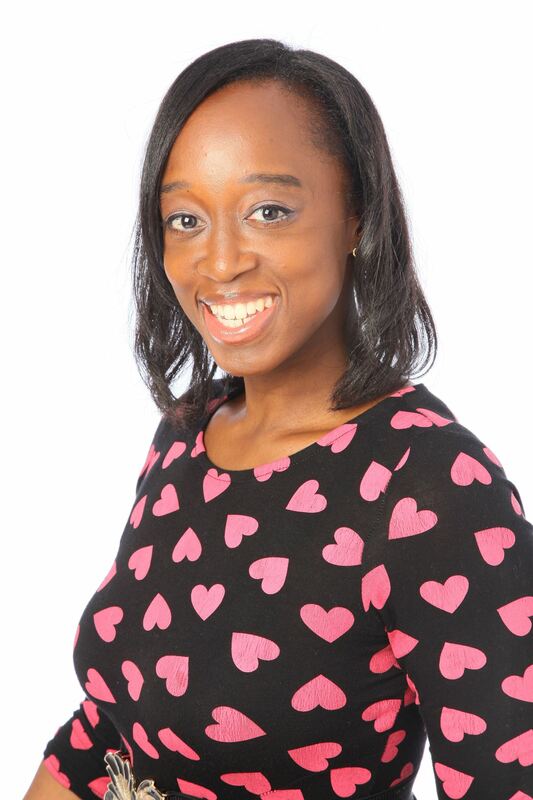 After my year abroad, I went back to the UK to graduate. I needed to get back to Japan again, so I got a working holiday visa and returned, however there was a problem – the timing. I arrived in Japan in 2008 just after the Lehman Brothers Shock crisis. That was tough, but I didn’t think of going back home. I looked for a job opening and finally found a 3-month position as an intern at Bloomberg Tokyo. After the internship, I became an ALT (Assistant Language Teacher) at junior high school. Since I had some stability, I decided to focus on enrolling in a voice-acting school from 2010. I found a school called “Yoyogi Animation School”, Japan’s first animation institute and took their trial lessons and attended their interview event with famous voice actors. At that time, I was still working as an ALT from Monday through Friday, so I joined a 1-year Saturday voice-acting course there. Then I looked around and attended trial lessons at several schools for the full-time 2-year course. Fortunately I found “Tokyo School of Anime” (Toani, 東アニ), which was established in 2011. I decided to change schools because the equipment in Toani was amazing and they had a lot of professional links to people in the industry. The teachers were all working voice actors, too. We were actually the “1st generation students”. I was the only foreign student in the voice-acting course. I had all my preparations complete to begin life at Toani, three days before the 3.11 Earthquake. The biggest worry at that time was the radiation from Fukushima. A lot of exchange students cancelled their applications and stayed in their own countries, but I found that I couldn’t go back home despite the danger because I couldn’t see a future for me in London at the time. I couldn’t throw away nine years of work either, so I decided to risk my life and enroll in April 2011. The classes were held only in Japanese. I’d studied a lot to be able to recognize and read Chinese characters but I didn’t know that perfect ‘standard intonation’ was needed. I brutally had the rug pulled out from me in the first month of school. Everybody knows that intonation is so important for Chinese languages, but I didn’t know it was essential for any spoken performance arts in Japan. Some examples are the three kinds of “hashi” (橋 bridge, 箸 chopsticks, 端 corner/edge). Speaking was fine, but reading a script aloud needed a new thinking process. It took the first six months just to be able to speak in the flat intonation (heibangata, 平板型) needed in standard Japanese speech. My Japanese classmates from all over the country were also struggling with it because of their regional accents. Most classes were script-based. Every week we read and studied scenes together, added emotions, presented our take on it and got feedback from the teachers. We repeated this cycle for two years however it immensely increased my Japanese reading comprehension, perhaps more than the 3 and a half years at university in the UK. In the second year, we started applying to agencies at school. There were many auditions and job fairs but I failed about 98% of the auditions based on intonation, or not being able to properly read all Chinese characters on a script within ten minutes of receiving it. Of course, nerves didn’t help either. However I’ve strongly believed that someone above has been watching over me on the path and many things have worked out in mysterious ways. Three days before graduation, one of my teachers knew a CEO at an agency who was looking for an English/Japanese bilingual voice actor and recommended me. The timing was amazing. I went to the agency, had an interview and audition and luckily passed it! I joined at “azukari” (預かり) level, which is just below being fully contracted but allows one to take auditions and work in Japan. From April 2013, I had finally became a professional at last, but I had to continue taking weekly classes at the agency, as well as take an evaluation exam every February to see if you’re worth keeping or to promote or demote your rank. It’s a very competitive environment in Japanese voice acting agencies. If you’re kicked out, you’d need to start again at a different agency if you pass their audition. I didn’t take the exam in the first year because I was performing on stage in “Romeo and Juliet” with Tokyo International Players (TIP) both in English and Japanese when the exam was held. So I repeated my classes and took the exam the following year. I was told that I did really well but not enough to be promoted to the next level so I’d have to redo the same classes again. Typically, you cannot easily do work outside of the agency but I wasn’t good enough to try out for Japanese auditions, so I decided to become a freelancer to allow me to continue working on my Japanese while taking on as many opportunities as possible. I had the ball at my feet! As a freelancer, I attended acting workshops and took as many acting and even bilingual improvisation auditions as possible. 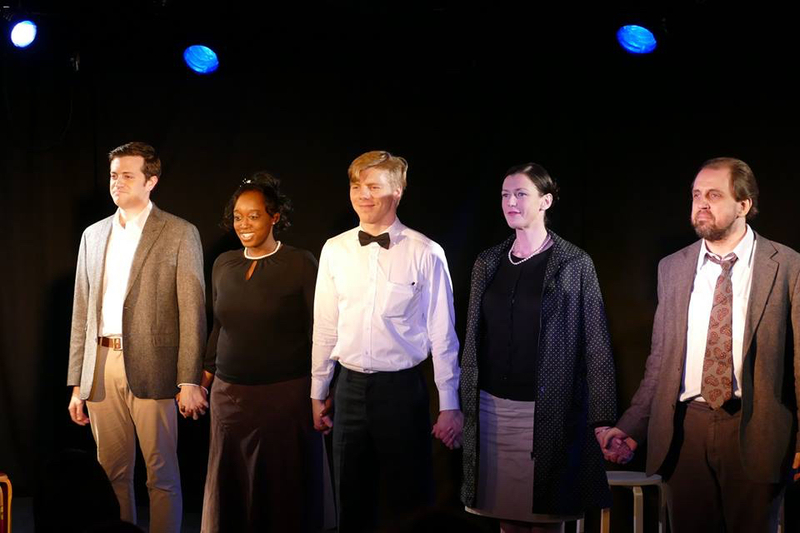 Fortunately, I was able to pass an audition from the “Black Stripe Theater” group and performed in two shows within 7 months with them – the first time in over a decade to act solely in English. And then, I was blessed with a dream-like opportunity in the form of “The Crucible”. Set in 17th century Massachusetts, they were looking for a black or a Latin woman who could act in Japanese to play the role of Barbados slave Tituba. I didn’t hear the information directly, but a very kind soul remembered that I’ve been acting in Japanese and so contacted me with details to audition for the play. Somehow I passed it! I was the only foreign actress of course playing Tituba, while entire Japanese cast played white Christian Americans. It wasn’t the first time for me to act on stage in Japanese, but it certainly was the most profound experience. I had a good amount of lines and scenes to memorize and director was British so he directed in English. Since I was the only actor who had both a Japanese and native English antenna, I fully understood what he said without any translation and then had to simultaneously switch to act in Japanese. It was a fun and unique rehearsal environment. I performed 32 shows in Shibuya and Osaka with very prestigious Japanese actors from October 2016. My role was really important to the story and I was wondering how much the racial tension and class discrimination was conveyed to Japanese audience. I’m not sure if managers from agencies saw or liked my performance, but I’ve proven to myself that I can truly act in natural spoken Japanese with the best of them. I had done it. I gained huge confidence from that experience, which is helping me to push harder and further in 2017. Since January 2016, I’ve been building a good track record as an English narrator. I’m very happy to be back in the studio utilizing my training. As it so happens, in June 2017 I passed my first ever voice-acting audition in Japanese and will be performing in a live reading recital in September 2017. I was so sure that I completely failed so it still hasn’t sunk in that I’ll be voice-acting in Japanese live. I don’t know what kind of role I’ll get but it’s a major first step for me to gaining more experience and working towards my wishes as mentioned above. I’m looking forward to it very much! I still hope to get my first anime job as a Japanese-speaking voice actor. Even if it’s a fun, crazy character in a fantasy anime, with one line like “Tasukete!” (Help me! ), that’s okay, because my name will be in the credits. It’s proof to breaking new ground. I would also like to prove that foreign actors who can speak Japanese naturally can play not only foreign roles but normal roles (a teacher, a baker) or even Japanese ones. I think the Japanese entertainment world is open to the possibility of change, to break the mindset of “using foreigners only for foreign roles or circumstances”. Those who wish to break this mindset and go higher will of course have to speak with perfect intonation, otherwise they would be asked to play foreigners who speak only broken Japanese. In the UK though, more ethnic minorities such as Indian-British and Black-British actors are gaining opportunities. In the stage play of “Harry Potter” Hermione Granger and her children are played by black actors, which is so inspiring and powerful. She was originally white in the movies, but as a black woman, people still love and watch the play. It’s sold out 2 years in advance! It’s a city filled with paradoxes where anything can happen, a place of dreams, hopes, passion, fatigue and much more. It’s filled with volatile energy that can drain your soul and engulf you, however if you stay grounded, you can meet wonderful people and receive dream-like opportunities. Tokyo is the city where my dream came true and where I’ll keep striving to create new ideas, possibilities and realities via my art! Reina will perform at the show called “Hajimari No Tobira (始まりの扉)” from September 14 until 18, 2017. See this page for the details and buy tickets here! *Only in Japanese. 1 Comment on I want to create a reality where foreign actors can play ordinary roles in Japanese. Cool acting stuff, though beware of Shinto paganism.